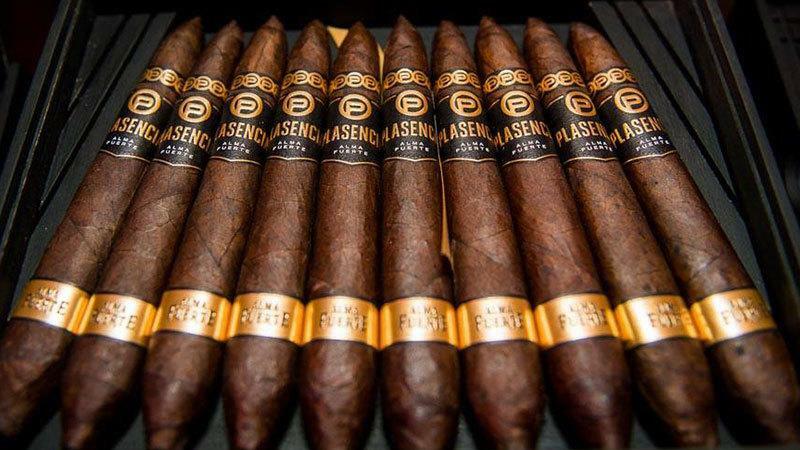 Plasencia Cigars, maker of the Plasencia Alma Fuerte Generacion V, Cigar Aficionado’s No. 9 cigar of 2017, is increasing its retail reach in Canada through a partnership with Scandinavian Tobacco Group Canada. According to the deal, which goes into effect on August 27, STG Canada will oversee distribution, sales and promotion of Plasencia Cigars’ brands in stores across Canada. STG Canada, which is located in Quebec, is the Canadian arm of Scandinavian Tobacco Group, the parent company of General Cigar Co.
“We’re very excited to build on our company’s success by going into this market with STG Canada, a distinguished leader in the industry,” said Nestor Andrés Plasencia, CEO of Plasencia Cigars. In addition to being one of the largest growers of premium tobacco in Central America, the Plasencia family also produces cigars in Honduras and Nicaragua. Plasencia brands such as Plasencia Alma Fuerte, Plasencia Cosecha 146, Alma Del Campo and Reserva 1898 are sold throughout the U.S. via Plasencia 1865, a distribution company headquartered in Miami.